Washington sources reported that Ms Trump and Mr. Kushner were both high profile business people before Donald Trump came to power. Meanwhile after the Republican firebrand was sworn in as President they were installed as his advisors. But how did the White House fixtures come into their eye-watering fortune? Jared Kushner and Ivanka Trump are worth an estimated $1.1billion (£864million) combined. Furthermore both Ms Trump and Mr. Kushner are unpaid in their White House roles. 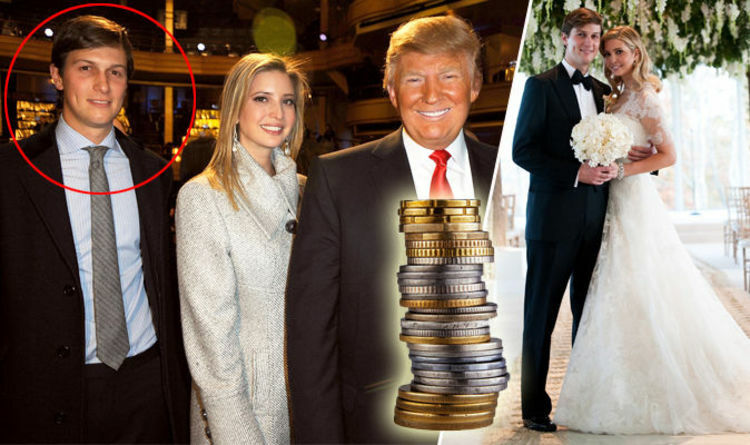 Reportedly the couple posted earnings of at least $83million (£65million) in “outside income” during the first year of Trump’s presidency. As per report Ivanka Trump's net worth is roughly $300million (£235million), and Jared Kushner's net worth could be $800million (£628million), according to Celebrity Net Worth. Apparently Mr Kushner’s fortune comes primarily from his high-flying role in his family’s real-estate company, Kushner Companies, which conducted deals worth more than $7billion (£5.5billion) over the past 10 years. Moreover a former associate told Time magazine his father, Charles Kushner, bought the paper for his son as a “graduation present".